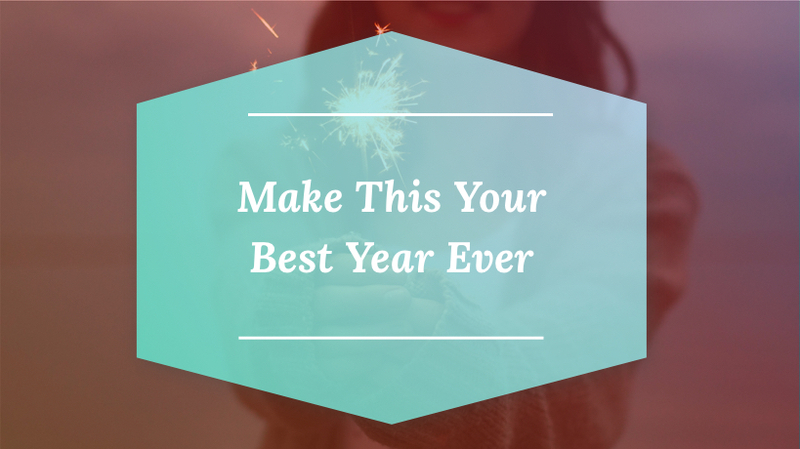 Write down the successes you have had in the last year—both big and small. Did you have goals? If you actually had some goals, did you write them down? Did you make a vision board? All of those are successes. If you can’t come up with anything, look at your credit card receipts or checkbook to jog your memory. Did you take a vacation? Did you go skiing? Did you go to the gym? Did you take walks? Did you help someone out at work or a friend or family member? Did you contribute to a charity or volunteer your time? Maybe you kept your job all year or paid your rent or mortgage. All of these can be listed as successes. Keep your list of successes where you can review them. Add to them every day. TIP: Be your best friend in this process. Be compassionate and loving to yourself. You can’t take responsibility and move up the ladder of awareness and consciousness if you beat yourself up for having self-awareness. Also, brain research shows that when you celebrate your successes, you are training your brain to have more or, rather, rewiring your brain to be on the frequency of success. Ask yourself what good came out of this? How did it help you grow as a person? Who do you need to forgive, starting with yourself, and then anyone else? Who do you need to thank, starting with yourself? TIP: You do not have to list everything. Take the big three with the intention of completing every challenge and struggle in your past. Leave them there! In each of these steps, you may have noticed some agreements or projects that are incomplete. For example, you may have told yourself you were going to clean out the garage in the summer and you never got around to it. So, now, every time you go into the garage, you see that big pile of stuff and think to yourself: “I’ve got to get this done” and/or you beat yourself up for not getting it done. It weighs on you. It swirls around in your subconscious, cluttering up your mind. This wastes energy and keeps you from being productive. Why do you think there are so many books about removing clutter from your life? Because it keeps you stuck. The agreement you made with yourself about cleaning up the garage is clutter in your mind. It uses up precious mind-power, not to mention that you are most likely using it to say negative things to yourself. What projects/agreements did I keep? What projects/agreements did I not keep? What projects/agreements do I want to let go of? Schedule a time for when you are going to complete a project or agreement. Decide which projects and agreements you are going to keep and which ones you are going to let go of. It’s OK if you don’t want to clean out the garage. It won’t serve you to say you are going to do something you don’t really want to do. You could find another way (or another person) to clear that clutter. After completing this process, celebrate, and put it on your success list! You are now ready to set some goals for yourself for the New Year. Please see my blog on creating a personal vision statement as the next step to make this your best year ever!